Located in the midst of scenic landscape of Western Ghats, Bandipur National Park is a home to an immense assortment of flora and fauna species. 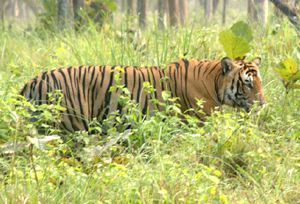 Spread in the sprawling area of 874 square kilometers, Bandipur boasts an amazing population of Royal Bengal Tigers. In addition species like four horned Antelopes, Elephants, Panthers, Sloth bears, Crocodiles, Mouse Deer, Pythons, etc., can also be found in the park. Bandipur along with Nagarhole, Wayanad Sanctuary and Mudumalai National Park, makes Nilgiri Biosphere. This biosphere is largest in the country. This 03 Nights & 04 Days tour to Bandipur and Mudumalai National Park takes the wildlife lovers to explore the verdant beauty of these national parks and savor the astounding wildlife along with the nature's opulence. Upon arrival at Bangalore airport / railway station meet with our representative and drive to Bandipur National Park. Situates Located amidst the picturesque surroundings of the towering Western Ghat Mountains on the Mysore-Ooty highway in Karnataka state. Upon arrival Bandipur check in to the wildlife resort. In the evening enjoy the calm serenity of the forest resort. Dinner and overnight stay at resort. Today we will wake a little early and get ready for our first Jungle experience to spot the wildlife. We will board the safari vehicle to explore the Bandipur National Park. Bandipur is home to Leopard, Asiatic Wild Dogs, Stripped Hyenas, Jackals, Jungle Cats, Leopard Cats, Rusty Spotted Cats, Palm Civet, Small Indian Civets, Otters and four different species of Mongooses (the common stripe necked, brown and ruddy mongooses), Gaur, Sambar, Cheetal, Muntjac, Barking Deer, Mouse Deer, Four-Horn Antelope, Pangolin, Indian Porcupine, Fruit Bat, Spender Loris, Langur, Bonnet Macaque, Wild Pig, Black Saped Hare and variety of reptiles such as Rock Python, Cobra, Marsh Crocodile, Monitor Lizard, Rat Snake, Wolf Snake, Common Krait, Runel's Viper Bamboo Pit Viper and Green Keel Back are also found here. Later return to the resort for fresh-n-up and breakfast. After lunch we will again get ready for wildlife exploration & birding within the periphery of the national park. This we will be on foot and will be doing a guided walk to explore its amazing wildlife. Later in the evening return to the resort. Evening enjoy the activities offered by the resort. Dinner and overnight stay at resort. Today we will wake a little early and get ready to explore Mudumalai National Park. After clearing check-in formalities at the entry gate (Karnataka – Tamilandu Border) we will enter to the national park. 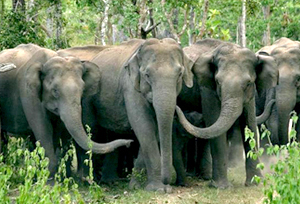 Mudumalai is an ideal home to several endangered and vulnerable species nestling Indian elephant, Bengal Tiger, Gaur and Indian Leopard. There is a high diversity of animal life in the sanctuary with about 50 species of fishes, 21 species of amphibians, 34 species of reptiles, 227 species of birds and 55 species of mammals. After enjoying wildlife safari we will return to Bandipur. Get refreshed at the resort and enjoy the breakfast. After lunch it's time to enjoy the serenity around the resort or one can participate in the various house activities. After lunch we will again get ready for wildlife exploration & birding within the periphery of the national park. This we will be on foot and will be doing a guided walk to explore its amazing wildlife. Later in the evening return to the resort. Evening enjoy the activities offered by the resort. Dinner and overnight stay at resort. Morning after breakfast we will visit Venugopalaswamy temple at Himavad Gopalaswamy Betta. It is a hill located at a height of 1450 m and is extensively wooded. It is also the highest peak in the Bandipur National Park. The view from here is worth viewing. 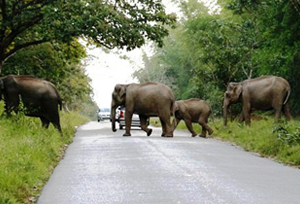 It lies in the core area of the Bandipur National Park and is frequented by wild life including elephants. Return to the resort for fresh-n-up & breakfast. After breakfast leave for Bangalore.